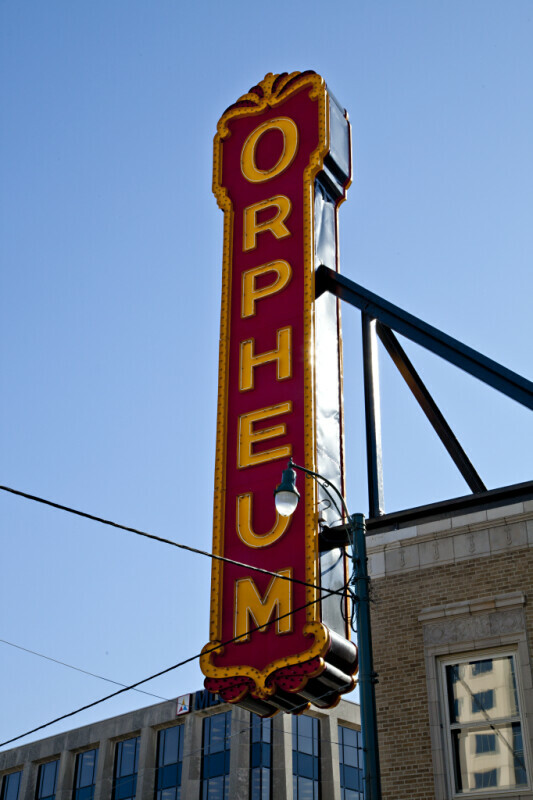 This sign indicates the location of the Orpheum Theater. The theater was built in 1928, and replaced an earlier theater that was destroyed by fire. The theater was designed by George L. and Cornelius W. Rapp. The sign employs golden yellow lettering, against a red background. The theater is listed on the National Register of Historical Places.